This information is current as of September 8/16 on Live servers. TIP #1: There are groups in the group-finder that fish together on Margoss' Retreat; this greatly increases the number of Mark of Aquaos that are fished up, and with enough people you can chain them back-to-back, increasing your rate of Drowned Mana acquisition dramatically! TIP #2: Take advantage of reputation buffs, like WHEE!/Darkmoon Top Hat while the Darkmoon Faire is active, or similar buffs listed in the guide below during holidays to speed this grind up! Conjurer Margoss is a new Fishing-related NPC located on a floating island (Margoss' Retreat) around Dalaran. This island has a pool of water on it from which Drowned Mana can be fished up. As a "Friend" NPC, there is an associated faction and reputation associated with Margoss - Conjurer Margoss (similar to Nat Pagle or the Tillers NPCs). Once flying is unlocked in Legion, this will be an easy way to get to the island. Emblem of Margoss is a consumable item that teleports you to Margoss' Retreat. It can be fished up in the Dalaran Underbelly from the Swirling Whorl pools around the Black Market Auction house - in the Underbelly. These items are consumed when used - so to use this method again you have to fish up another. It is possible to get to the island using unconventional means. As a Demon Hunter, you can use Glide. As an Engineer, you can use a cloak with Goblin Glider attached. Any race/class can use Goblin Glider Kit (crafted by Engineers). Any race/class can use Emerald Winds (Toy obtained from the achievement Hatchling of the Talon in Highmountain). You can get back to Dalaran by speaking to Conjurer Margoss - he will teleport you back on request. Can be turned in to Conjurer Margoss to obtain reputation with him. Can be used as a currency for a number of items he sells. Note that any Drowned Mana spent on items from Conjurer Margoss will not grant any reputation. Conversely, any Drowned Mana turned in for reputation is consumed and cannot be used to buy merchandise. Drowned Mana can ONLY be fished up from the pool on Margoss' Retreat. A Fishing skill of 1 is sufficient to catch Drowned Mana. Fishing skill does not appear to appreciably affect Drowned Mana catch rate (see below). You can catch up to 2 Drowned Mana per cast. Other than Drowned Mana, only trash fish are caught on this island (Silver Mackerel and Big Fountain Goldfish). Drowned Mana can be turned in 1 at a time for 50 reputation or 10 at a time for 500 reputation. Drowned Mana is Unique (100) - as such you want to turn-in or spend it when you reach that mark. Level 110 is NOT required to fish up Drowned Mana. Testing with level 100+ characters has been successful; it is unknown whether even lower level characters can do so. Mark of Aquaos is an item you can rarely fish up on Margoss' Retreat (roughly 1 in every 100 casts). Using it will summon Aquaos the Unleashed, an Elemental that will attack you, that you must kill. Aquaos the Unleashed scales in health and level (like all Legion mobs). It is not difficult to kill him. Aquaos drops no loot, but killing him infuses the pool on the island with mana, increasing the catch rate of Drowned Mana to 100% while it is active for a short time! This state is indicated by blue mana motes rising from the surface of the water. This "mana infusion" state lasts 2-3 minutes from testing. Mark of Aquaos is Unique - as such, it is advisable to use it as soon as you catch one, to avoid not being able to loot any more you may catch. Of course, if the buff is still up on the pool from a previous kill, wait until it has expired before using another - prematurely using one DOES NOT extend the buff! While the buff is up, not only is Drowned Mana catch rate 100%, but you will somtimes catch various Legion (non-trash) fish, such as Stormray and Highmountain Salmon. Overall this is a fairly low sample size; however, based on the information, it appears that Fishing skill has little to no effect on Drowned Mana catch rate. Further testing is needed to see if maxed fishing will yield different results. Reputation with Conjurer Margoss will allow you to purchase the various items he has for sale - including a pet and a mount! There is a one-time quest (Drowned Mana) that you can complete by fishing up and turning in 1 Drowned Mana for 250 reputation. Thereafter, the only way to obtain further reputation is to turn in Drowned Mana for 50 reputation per mana. There are 5 levels of reputation before Best Friend, which is the maximum reputation. Each of these levels has 8400 reputation. Darkmoon Top Hat is granted by the Darkmoon Top Hat item, which can be purchased for 10 Darkmoon Prize Tickets. It can only be used while the Darkmoon Faire is active. WHEE! and Darkmoon Top Hat do not stack with each other. *Each level of reputation requires just over 152 Drowned Mana with a single 10% buff. Stacking buffs will further the effectiveness. **This level requires fewer mana turn-ins due to the one-time quest. Consumed on use. Increases your chance to catch bait in the Broken Isles by 100% for 10 min. These baits are used to fish up Rare fish for the achievement Bigger Fish to Fry. Battle Pet. Aquatic. Adds the Battle Pet Sting Ray Pup to your collection. Battle Pet. Critter. Adds the Battle Pet Trashy to your collection. Crate of Bobbers: Murloc Head and Crate of Bobbers: Squeaky Duck - 599 Drowned Mana required for one, 699 Drowned Mana required for both. Took 2372 casts to become best friends with Conjurer Margoss (with 11 extra mana). Started at fishing level 703 with +220 fishing most of the time +150 hat lure. Completed on 8/31/2016. If you want to get to this guy DONT use Rocfeather Skyhorn Kite as soon as you get close you get kicked off because you enter a bit of "The Great Sea" and this kite is only for the broken isles so that means the kite doesn't work.. Just putting it out here i got pretty frustrated have to swim now and take a FP back to dalaran because i just used my hearthstone. Light Feather will not work. People have compared this character to grinding with Nat Paglle. However, the grind is considerably more difficult than Nat. For one thing, getting to the island is difficult, and that specific island is the only place that you are able to catch 'Drowned Mana'. So in order to get mana from him, you need to be in a specific location. Secondly, that 'Drowned Mana' needs to be turned into him, rather like the lunkers. However, *unlike* the lunker turn-ins, you do not get an item for it. You simply get reputation. *AFTER* you have the amount of reputation you need, you need to fish up *more* drowned mana in order to get his goods, rather than having the 'mana' that you spent on him in order to get to Best Friend. In other words, you need approximately 1000 drowned mana to become best friends, and *then* you need another 150 to get both the pet and the mount. Coincidentally this gentleman shares the exact same look with the Washed-Up Mage from Northrend's Dalaran, despite the latter being identified as Barnaby Fletcher from Mists of Pandaria. Be aware that he will happily continue to offer the option and accept Drowned Mana even when you have hit Best Friend maximum reputation. Your progress towards reputation with this guy can be found under Steamwheedle Cartel. 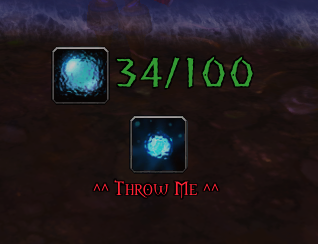 In Patch 7.1.5, Trashy will be sold by Conjurer Margoss at "Best Friend" reputation for 50 Drowned Mana. Note: At the time of posting this comment the Wowhead database had not yet updated the vendor information. Fishing skill level one and I don't get anything more than my fish got away. DO A PREMADE: Drowned mana farm! When in 40 man raid you get Mark of Aquaos non stop resulting in endless rain of DROWNED MANA! Aquaos was supposed to be easy to kill, it took me a while...oh wait...fishing pole equipped. Conjurer Margoss can be found on small floating island north of Dalaran. He's Legion version of Nat Pagle, teaches you fishing and sells some stuff. Currency is Drowned Mana. There's also the same quest - Drowned Mana. After 1591 fishing casts and hours of bonding with you, may you drown in the 1134 Drowned Mana I have have provided to this trade friendship. May we not convene again in the near future! Your no longer 'Best Friend'! Nothing worse than expending the inordinate amount of time working on this reputation, where a blown cast could mean 80-100 more casts, and especially while the Mark of Aquaos buff is counting down -- than to auto-loot your hook and cast again too soon. For me, this results in "Internal Bag Error": lost loot, plus no mail waiting for me in Dalaran saying "Recovered Items". Auto-looting in general should be transactional. Once initiated, it should complete before anything else can be initiated. If your bags fill, it should loot what it may before anything other action can begin. If you say, "But if I loot and a boss spawns right beside me and I need to stop looting", I will say "Bad place to loot." Hey, if Blizz detects an error - and says out loud it is an "error" - why not provide some sort of some sort of payback? If it's impossible to restore the lost loot, do something else. Give the player a 1 minute "lucky" buff. Imagine: a melee-based game where you are penalized for quick reaction times. Conjurer Margoss yells: I always hated water elementals... Especially big ones like this! Conjurer Margoss yells: The fishing can wait, help me put this elemental down! Conjurer Margoss yells: This is the problem with magic, you never know when it will turn on you!